BGI’s nationally licensed in-house customs broker offers efficient and knowledgeable customs brokerage service to help safely guide your shipments through the complex import customs clearance process into the United States. From classification to clearance and post-entry services, our proven processes ensure that procedures are followed properly and regulations and requirements are met the first time. The BGI team can assist you with anything from the country of origin rules to Harmonized Tariff classifications, to completing the proper customs documentation. BGI is your single source for customs brokerage services and will support your import needs with licensed and experienced customs brokerage across the country. 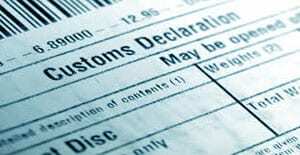 Do you have specific customs questions concerning customs regulations, requirements, duties or how the customs process works? If so, we will help you find an import solution. When exporting goods from the U.S., BGI Worldwide Logistics is your experienced partner who understands the confusing documents, rules, and requirements needed for exporting goods. We guide your shipments through the process, shorten the supply chain, cut costs and keep your export business running smoothly.